Along Interstate 10 in Houston on Energy Corridor sits the sprawling ConocoPhillips campus comprised of two twenty-two story buildings known as Energy Center Three and Energy Center Four. 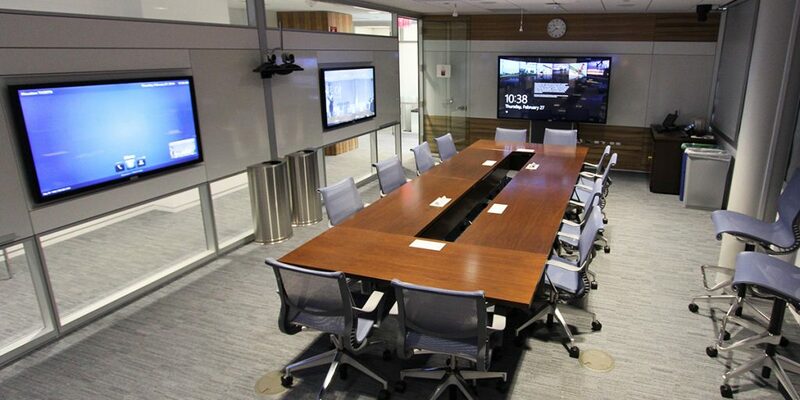 Each building in this central hub of operations features one hundred twenty-two conference room systems, eighty huddle spaces, interactive wayfinding kiosks on every floor, digital signage display stations, video walls, and countless control systems. 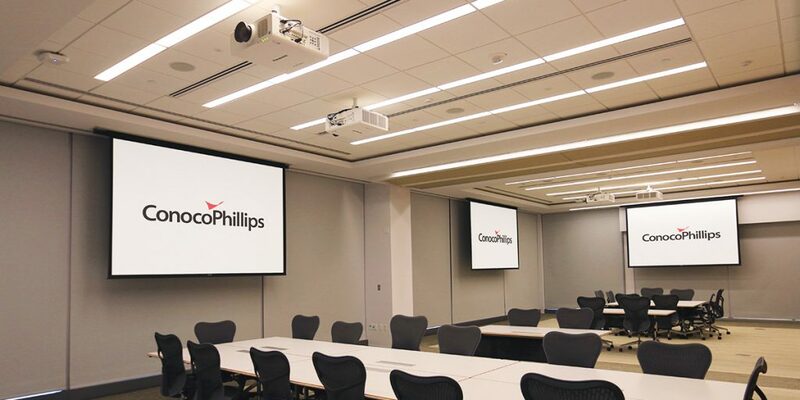 In 2015, Ford AV and ConocoPhillips began working together to transition operations from their old campus to the new, combined, one million fifty six thousand square foot Energy Centers Three and Four. Systems were developed with standardization, ease of use and invisibility in mind. The fewer wires that can be seen the cleaner the end result. So how do you hide non-interface components of a system? One approach Ford took was to deploy custom furniture designed to house the necessary system components. Legs of tables become miniature rack spaces cutting down on the amount of cabling needed for a system of this scale. Special display mounts with special compartments were also utilized for better cable management and to allow the display to sit flush with the wall. Organization and efficiency are key to any large company’s success. It only makes sense that ConocoPhillips would want to deploy cutting edge communication systems to embody those same traits.